The name of the Woody on the right is Fred. 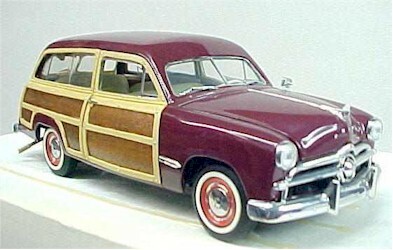 The car on the right is also a Ford, a 1957 Country Squire model. 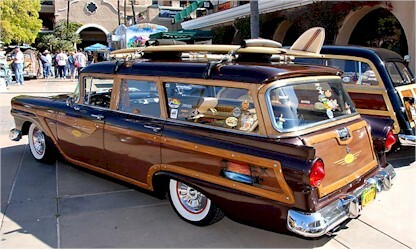 What is the name of the woody station wagon on the right in this image? These cars are beautiful aren't they?